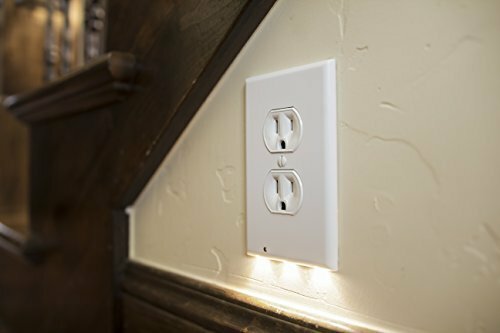 Outlet Cover Night Light - Moar Stuff - You don't need it but you know you want it. $16.95 $20.95	Get Your Stuff! 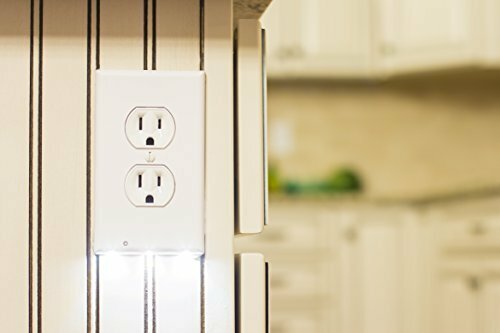 This Outlet Cover Night Light from SnapPower is a plug-and-play replacement for an outlet cover. 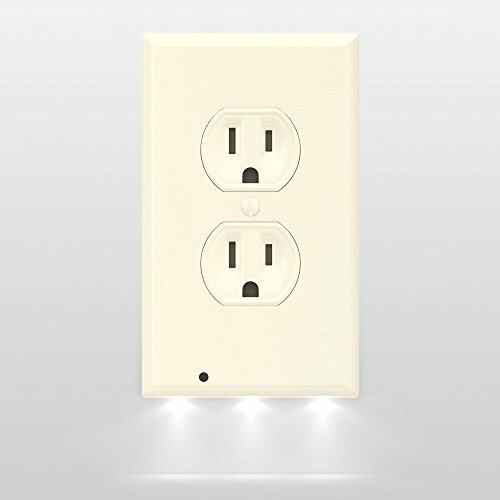 Unlike standard outlet covers, however, this one contains a set of 3 LED nightlights and optical sensor. 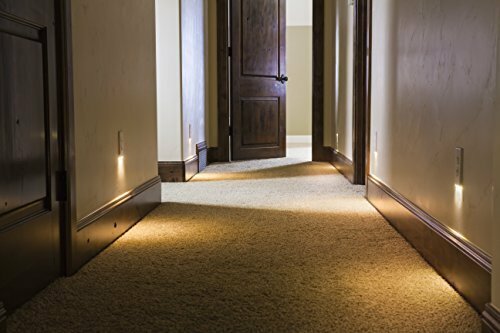 The sensor automatically turns on the lights when it gets dark and since it draws power from the power line. Unlike a normal nightlight, it doesn’t block one of the outlets. 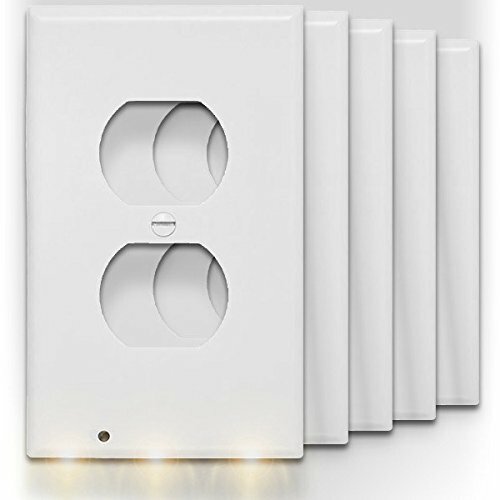 Save cash on each Outlet Cover by getting a 5 pack. They're on $13/each when bought in a bundle of 5. It installs within seconds and requires no wires or batteries. 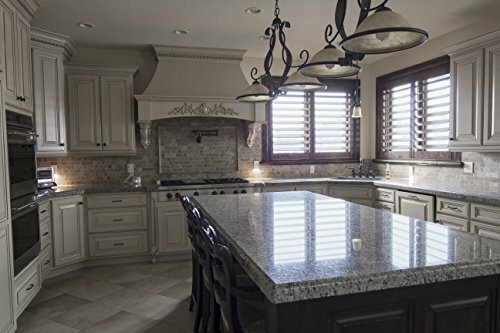 It comes in two styles (standard dual, and square decor) but only one color, white. On the plus side, a little masking tape and some spray paint can fix that. These Outlet Cover Night Lights are not compatible with GFCI outlets. So, don’t replace all of the outlet covers in the house with them. You may get a nasty shock in the bathroom or kitchen…. but at least you’ll see it coming if it happens at night. Personally, I use them in my entryway, hallway, living room, and in the kitchen (on the ground level outlets, anyway). 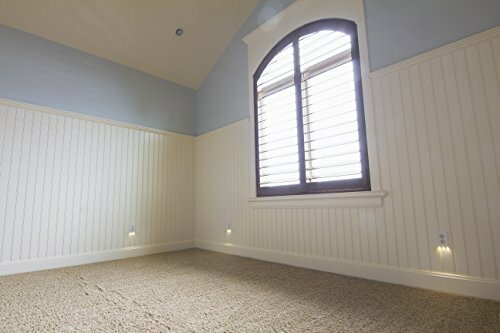 They’re great for these spaces and really help keep me from tripping over the cat in the middle of the night. Dimensions: 3 x 0.2 x 5 inches. 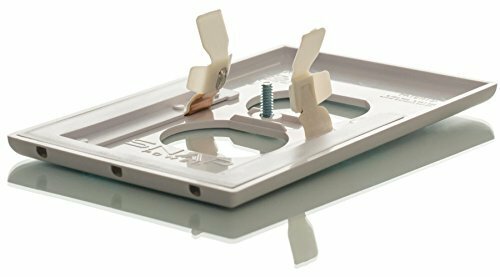 LED Coverplate Easily Installs in Seconds.